As human beings, we inhabit a world that seems infused with meaning. Our senses encounter colors, shading, lines, and curves; pitch and volume; texture. From these complex arrays of sensory information, the brain discerns the form of written and spoken words, pictures, objects, scenes, faces, and environmental sounds. And it then seems to immediately and effortlessly link those forms to a rich set of knowledge, stored in memory, that we experience as the “meaning” of those inputs. 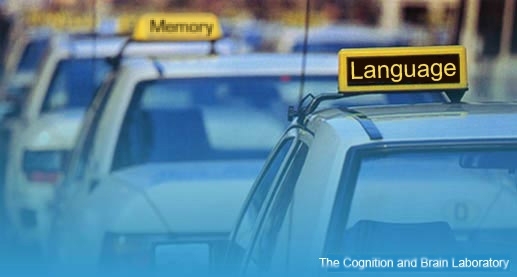 Work in the CAB lab is centered on understanding how the brain builds and stores meaning representations, during language comprehension, memory, and other cognitive tasks. We do this by noninvasively measuring brain electrical signals millisecond by millisecond as people look, listen, read, remember, interpret, and make decisions. We combine these electrophysiological measures with assessments of behavior and eye movements, and with other techniques for measuring brain structure and function. Our goal is to understand how younger and older adults make sense of language and of the world around them, and ultimately to uncover ways to keep cognition “meaningful” across the lifespan. Here is a short video with an introduction to the work that our lab does.